Officially opened in January 2011, the Harvest of Hope Centre aims to provide care for local families (including a number who are affected by HIV), especially focusing on the needs of children, ensuring they receive medical care along with education and provision for their basic needs. 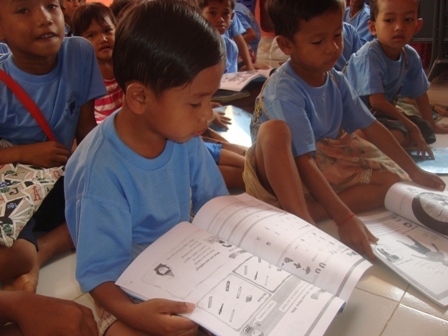 This education centre provides regular English, Khmer, arts & crafts and story classes for more than 70 children. They not only receive education, but also health care and a nutritional meal each day to help them grow and develop into the children they were created to be! The families in this area of Phnom Penh earn such a low income that they are unable to access even the most basic of medical care, such as visiting the doctor or dentist. So in this community greatly impacted by HIV, health care takes on an even more central focus than at the other education centres. Would you consider sponsoring a child at HOH for AUD$50 per month, so that this life-changing work can continue? Our dream is to see these children build a bright future for themselves, and to contribute to the growth of the nation of Cambodia.